Earlier this summer a game camera captured this image. 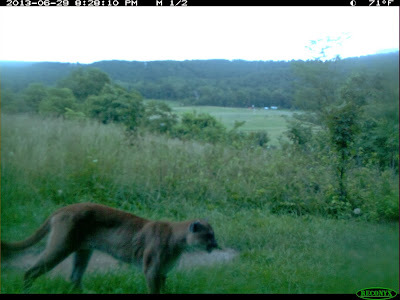 Apparently there is a big cat in Pulaski County, MO, a county bordering two of the Lake Ozark area counties to the southeast and well within range of Lake Ozark State Park (quick, everyone panic!). 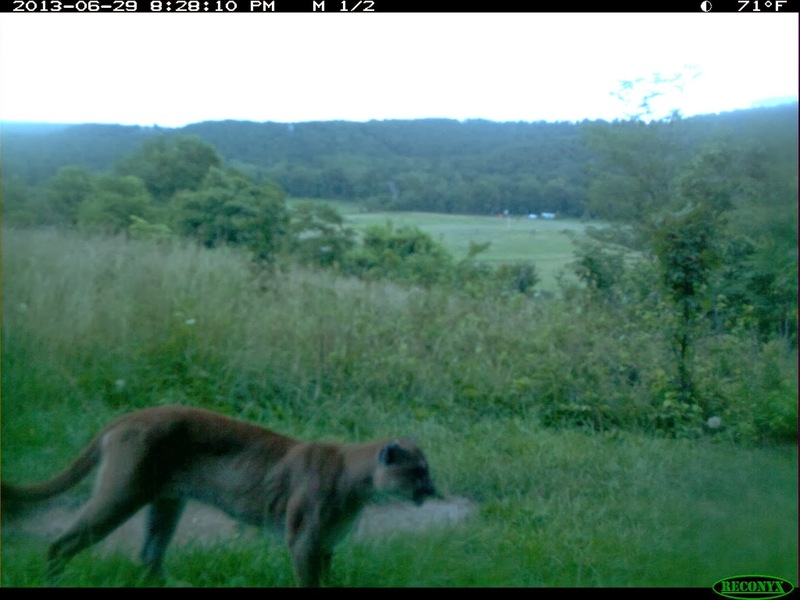 This is the 40th "confirmed" sighting of a cougar in Missouri over the past 19 years, but MDC is still claiming they've all been male and no breeding population exists. Most of Pulaski County is part of the Mark Twain National Forest and it is likely this photo was taken in an area south of I44. The owner of the game camera has wisely asked to remain anonymous. 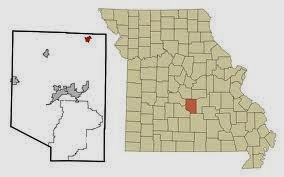 Pulaski County straddles Interstate 44 and includes Ft. Leonard Wood. The image below is from June 29th, 2013. Update: May, 2015 a mountain lion was killed along Hwy 44 in Laclede County.